Director: Debra Granik. Cast: Thomasin Harcourt McKenzie, Ben Foster, Jeff Kober, Dana Millican, Dale Dickey, David Pittman, Isaiah Stone, Alyssa Lynn. 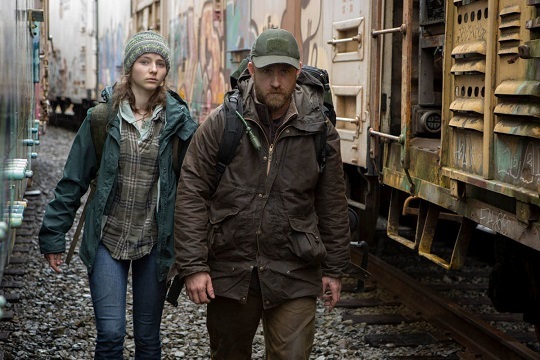 Screenplay: Debra Granik and Anne Rosellini (based on the novel My Abandonment by Peter Rock). Twitter Capsule: More humane if less audacious than Winter's Bone. Stokes equal yearnings for opposite outcomes. Deepens as it goes. VOR: ④ Granik maintains an interest in non-urban, off-grid existence without repeating past idioms. New facets and tones to her confident filmmaking, too.